With micro-credentials becoming more pervasive in states and districts across the U.S., it's important to understand how they are used in effective and meaningful ways. That's why we’ve partnered with educational experts at the American Institutes for Research to author a new guide designed to help school and district administrators better understand how they can leverage micro-credentials to redefine career pathways for educators. Download part one of our three-part series in this month's newsletter for a primer on the importance of redefining career pathways to attract and retain high-quality educators. In case you missed it, we also included a link to our latest webinar where Heather Staker, the author of Blended, led a great discussion with leaders from Volusia County School District, iLead Academy, and Harmony Public Schools on their micro-credential implementations. This is a must-see if your organization is thinking of launching a micro-credential initiative. Turnover among teachers is higher than ever. 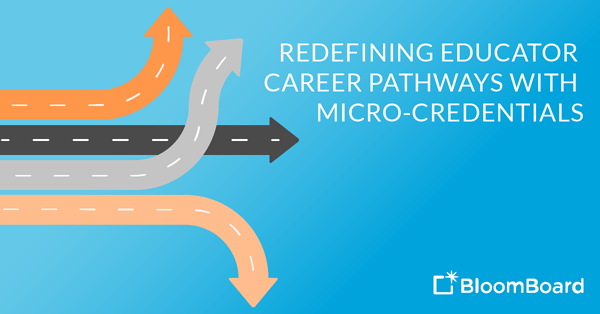 This guide provides a deeper look at career pathways and the role micro-credentials play in supporting educator career and compensation advancement and providing teachers options for a more robust career. As more and more districts adopt micro-credentials, we are seeing districts use micro-credentials to re-think educators’ career pathways and how competency-based professional learning is making a meaningful impact across their organizations. 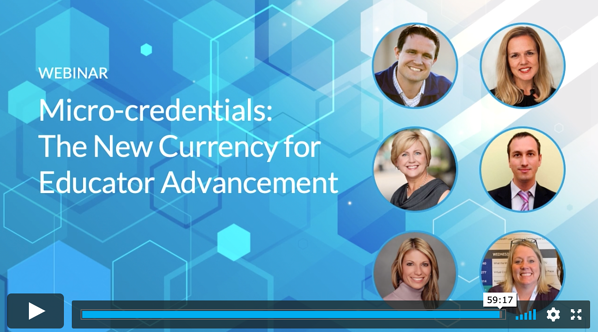 In this on-demand webinar, you’ll hear district leaders discuss why their organizations are leveraging micro-credentialing, not just as another way to obtain credit hours, but as a currency for career advancement. The 4 Cs of Technology Integration micro-credential program from Friday Institute provides an opportunity for districts to implement personalized, competency-based professional learning for teachers to support student learning in a digital learning environment through (1) critical thinking, (2) creativity, (3) communication, and (4) collaboration.